GEVREY-CHAMBERTIN – Hubert Camus is the master of the grand cru. In fact, he makes almost exclusively grand cru wines from Gevrey-Chambertin. And he also owns the largest holdings of grand cru vineyards in this world-renowned town. So, he is known for incredible wines. Hubert is a thoughtful, deliberate man with a soft, smooth voice. He is one of the most respected winemakers in Burgundy. He has spent a lot of time and effort working with the French government and with winemaker organizations in order to ensure the quality standards of all Burgundy wines. A noble, if not totally appreciated, endeavor! The Camus family has been in Gevrey-Chambertin since 1832. Like all of my small, family producers, Hubert makes wines with traditional Burgundian methods that have been passed down from generation to generation. The wines are not filtered; so there is often sediment in these great grand crus. That, of course, not only contributes to the excellent flavor of these wines, but also adds to the cellar-ability of these wines. 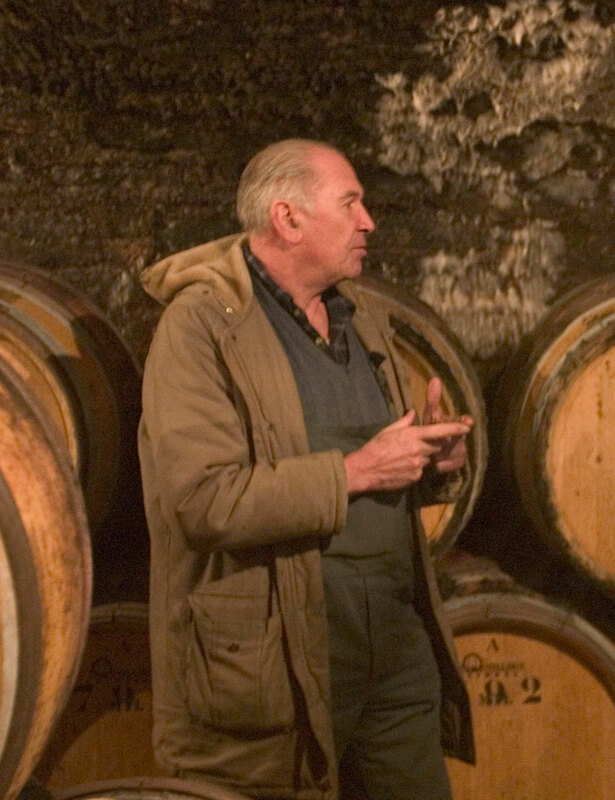 Because of Hubert’s large holdings, he still has a small supply of back vintages of these grand cru wines. These older vintages are kept for friends. And being his friend, I can normally get a few cases of each of his older vintages with every order. Get your favorites while they last. Please call us to learn more about our Camus, Hubert Wines and their availability.